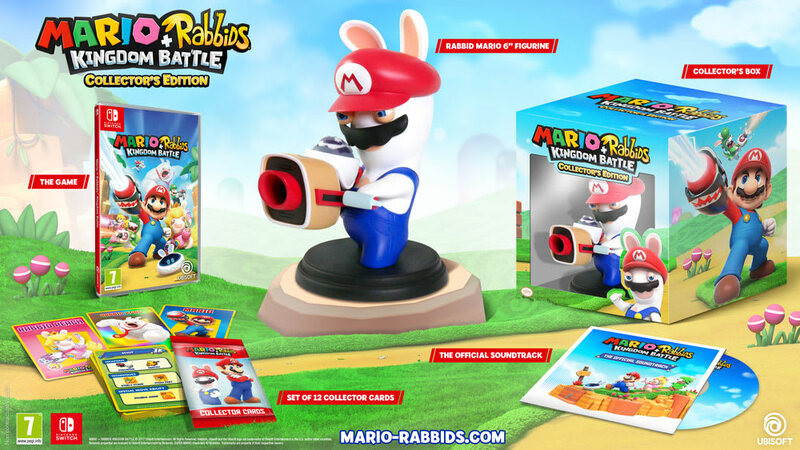 A set of 12 collector cards including Mario, Luigi, Peach, Yoshi and their Rabbid counterparts, as well as 4 bosses of the Game. 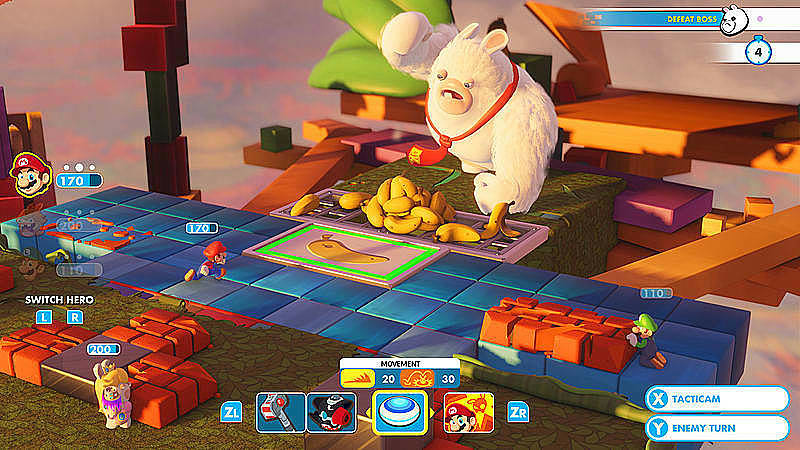 Mario and Rabbids Kingdom Battle is the story of an unexpected encounter between the most iconic video game hero of all time, Mario, and the irreverent, chaotic, and cute Rabbids. 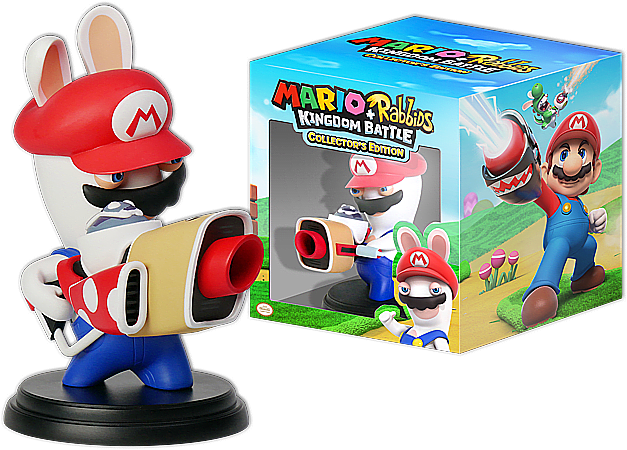 The Mushroom Kingdom has been torn apart by a mysterious vortex, transporting the chaotic Rabbids into the once peaceful area and splintering this beloved land. 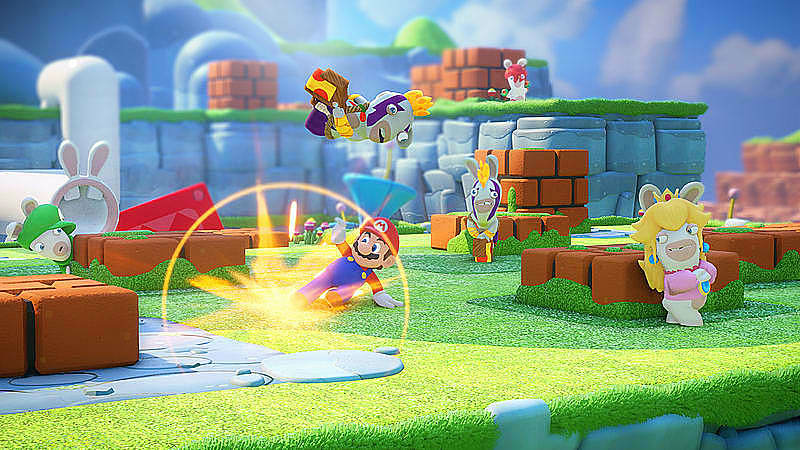 To restore the world to its regular state, Mario, Luigi, Princess Peach, and Yoshi team up with the Rabbids heroes on a crazy journey through four different lands. 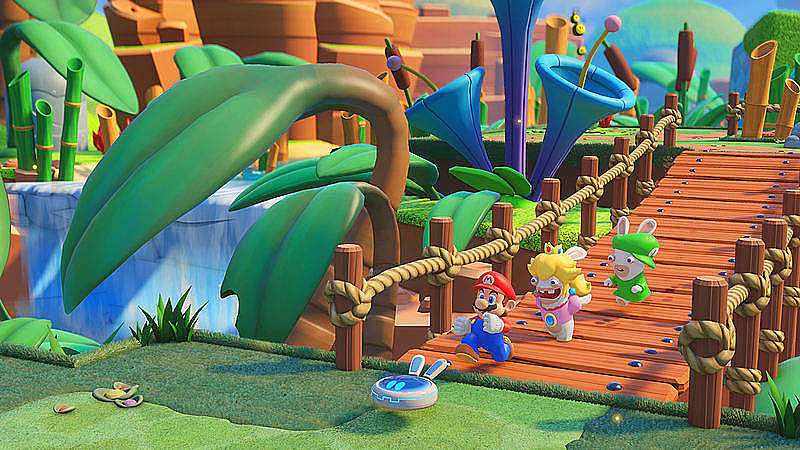 Join them and explore a new world twisted by the mischievous Rabbids, filled with secrets and nods to classic Mario games! 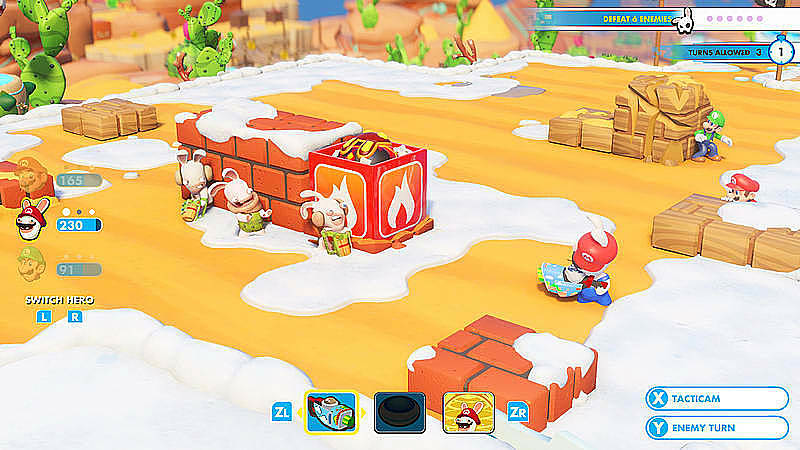 Solve puzzles along the way, and outwit unpredictable enemies in crazy turn-based combats and co-op challenges. Discover a feel-good and modern combat adventure designed exclusively for the Nintendo Switch, playable anywhere, anytime, with anyone. 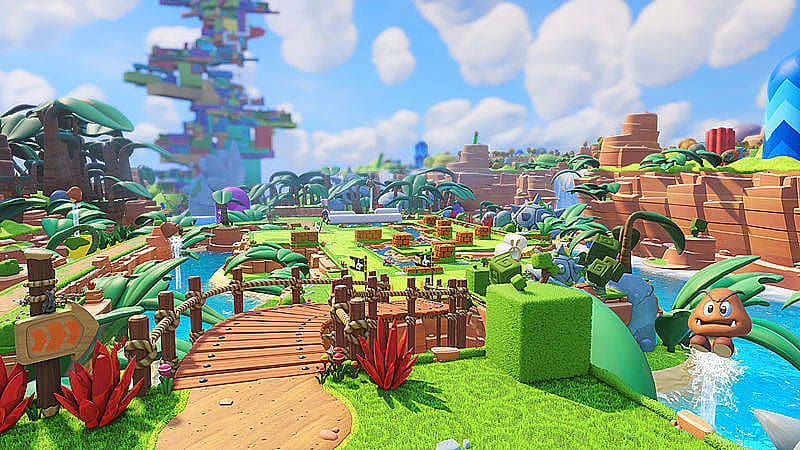 Explore four iconic lands filled with chests and secrets, solve a-maze-ing puzzles and defeat unpredictable enemies on the battlefield. 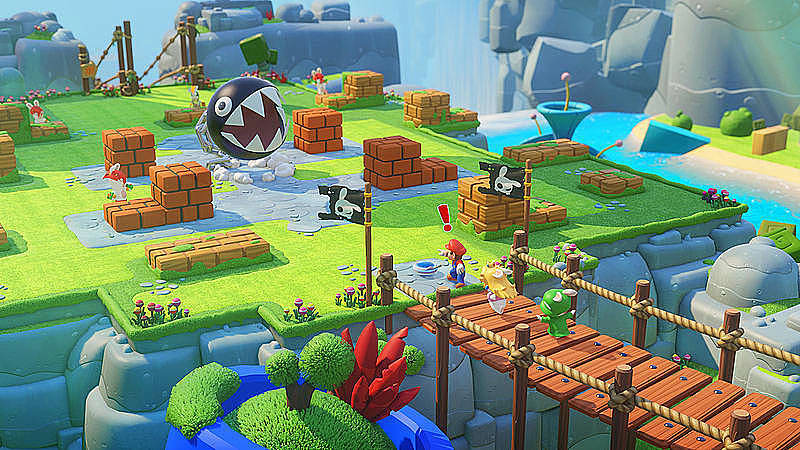 For the first time Mario and his friends will use unusual weapons to engage in crazy combats with their foes. 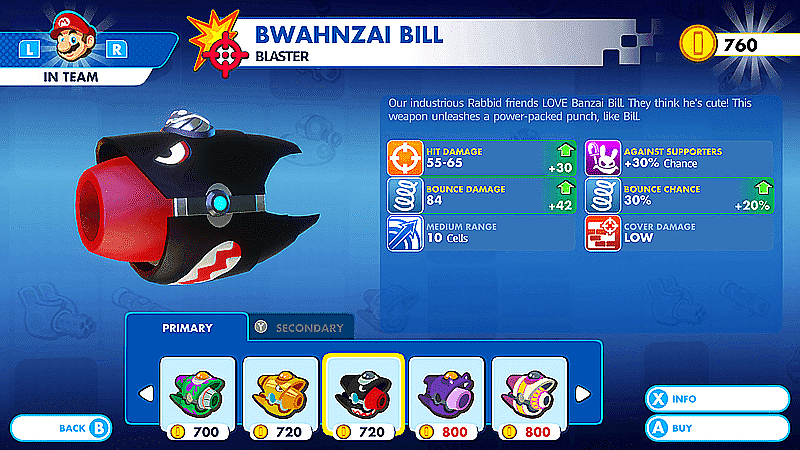 Choose their arsenal among more than 250 weapons with unique stats and specificities. Form a complementary team of three characters depending on their archetypes, and customize their abilities via their own dedicated skill tree. Thanks to the turn-based system, take all the time you need to think before tactically unleashing your actions, before the enemy strikes back during its turn. 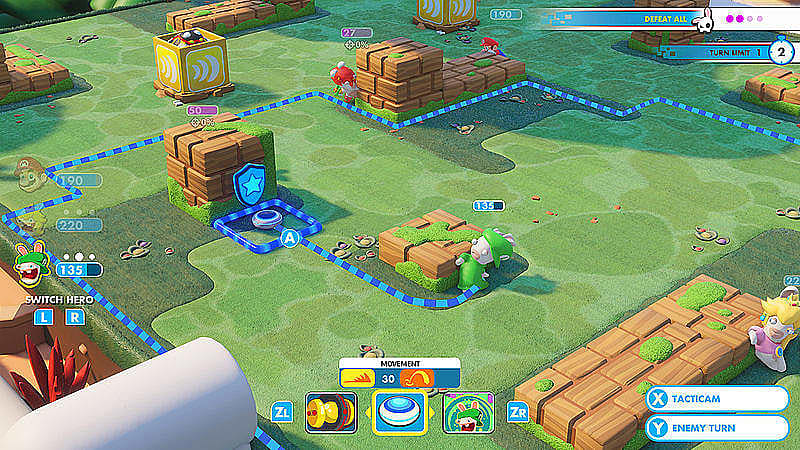 Play with a friend in additional co-op challenges on the same console, featuring three levels of difficulty, multiple objectives and the possibility to play with two Joy-Cons. Experience a feel-good adventure filled with humor, epic music, vibrant animation, and colorful visuals powered by the Snowdrop engine. Put your tactical skills to the test in a local two-player Versus mode. Fight on 4 unique battlefields, which evolves over time to offer the most intensive and unexpected fights. Simply bring your Nintendo Switch™ and share the fun with a single console. Share a pair of Joy-Con™ controllers or use your Nintendo Switch™ Pro Controllers. Pick 3 heroes from the main game. With a choice of 3 unique presets per hero with unique statistics and skills, adjust your team to fit your strategy. 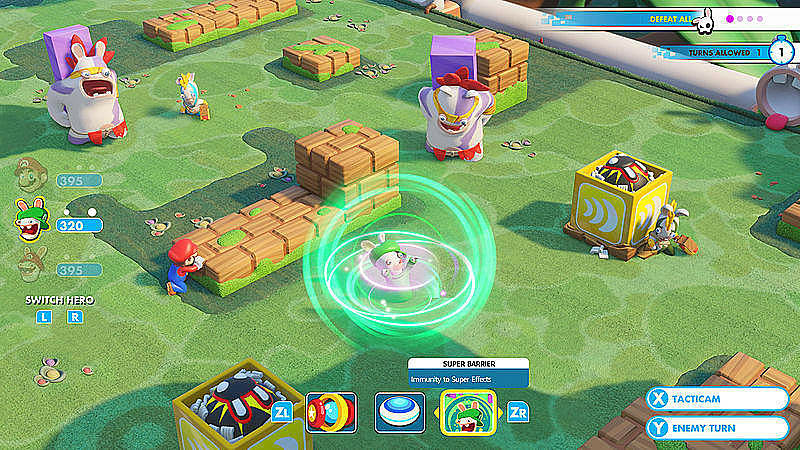 Pick up and use the power of surprising and random bonus items, to dominate your opponent or catch up on a tough fight (additional actions, double damage, etc.). 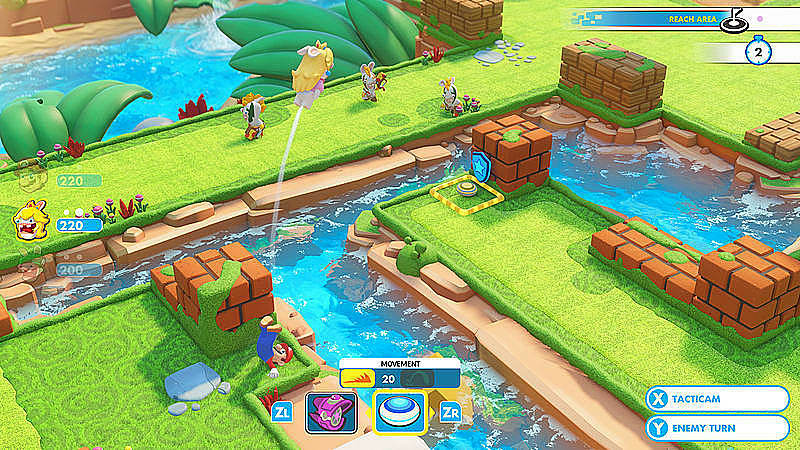 Turn-based gameplay is reinvented and more intense than ever with a new action system. 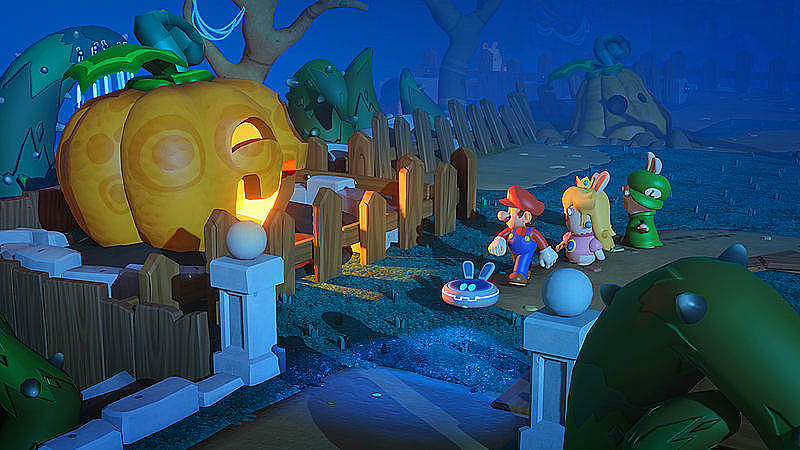 Join Mario, Rabbid Peach and Rabbid Luigi as they quest to save their friends and restore order in the Mushroom Kingdom. Engage in tactical turn-based combat using unusual weapons to defeat foes. Customise your characters abilities with their own skill tree. 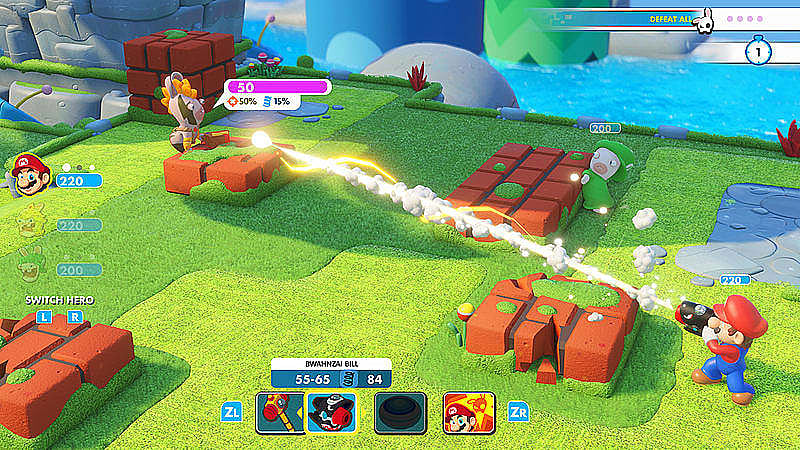 Test out your tactical skills against friends with the local two-player Versus mode. Do battle across 4 unique battlefields that evolve over time.